If you do have downed tree limbs on your property, be cautious of any power lines which might have come down along with them (or atop fences and deck railings). Do not go near any wires on the ground – always assume a downed line is an energized line. If a power line has fallen onto a vehicle, stay away and call 911. Contact your local electric service provider immediately should your experience any downed power lines. When temperatures are at or below freezing, it’s important to protect your sprinkler system in order to avoid freeze damage. The best way to avoid freeze damage is to have your system winterized prior to a freeze. However, Colorado is known for its rapidly changing climate. It’s important to know how to protect your homes sprinkler system in case of an unexpected freeze and your system hasn’t been winterized. To properly protect your system from freezing and causing costly damage, there are various steps you can take to get you through the night so you can properly winterize your system on a later date. PLEASE NOTE: The steps detailed here are good preventative measures for unexpected freezes, but freezing temperatures can still cause damage to components of your sprinkler system. The backflow preventer seen in the video above, including the exposed copper pipe, is susceptible to damage from exposure to freezing temperatures. To properly protect your backflow, you want to wrap it in insulation and tape it tightly so that it remains in place. Make sure you cover any exposed coper piping during this process. If you do not have any insulation on hand and it is an emergency, you can use an old sweater, towel or blanket as well. Place a plastic trash bag over the newly insulated backflow and tie the bag securely at the bottom. Pull the bag down to ensure nothing is exposed. Too much of a good thing is usually bad and it's no different with trees. 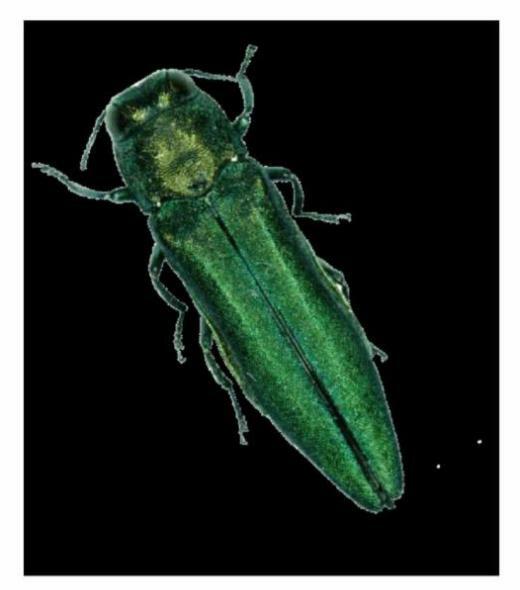 The outbreak of Emerald Ash Borer in Boulder in 2013 and detection last summer in nearby Longmont makes the point. Already, this strange pest has killed billions of dollars of trees in 25 states and Colorado is now on the hit list. What's the lesson? What we think at any given moment is a solid choice of a tree to plant may be jeopardized in the future by a pest or disease we couldn't imagine at the time we dug the hole and planted our new tree. When designing a new landscape, or adding to an existing one, variety is a good rule of thumb. The recommendation from Keith Wood of the Colorado State Forest Service is that, "No one species should comprise more than 10% of the planted trees." Planting too many of the same type of tree together is a set-up for future problems with insects and disease, he warns. If you don't know the types of trees already on your property, get the help of a green industry pro to identify what you have. Find out if you have any ash trees in your yard - so you will have an action plan if/when the borer heads your way. Seek professional advice about what's best to plant in your yard and varieties that will work well with the plants and trees you already have. Follow care recommendations for water and nutrients to keep all plants healthy. Well-maintained plants that are consistently healthy and un-stressed are less susceptible to pests and diseases. Disposing of large household waste properly is often a challenge, but Aurora Cleanup Day can help. Ward I: Lowry Park, 1001 Dayton St.
Ward III: Havana Machine, 840 S. Havana St.
Ward IV: Ecotech Institute, 1400 S. Abilene St.
Ward V: Griswold Water Purification Facility, 14201 E. Hampden Ave. This free event is open to Aurora residents only, and participants must show proof of residency with a driver’s license, utility bill or other identification with an Aurora address. This event is designed for disposal of residential items that are not appropriate for curbside pickup. The following items will not be accepted: refrigerators, freezers, air conditioners or other items with Freon; construction debris such as concrete, sod, dirt, rocks and bricks; car parts such as tires; electronics; household chemicals and paint; and hazardous waste. Disposal resources for many of these types of waste can be found online at AuroraGov.org/KeepAuroraClean. Volunteers are needed to assist city staff at the Cleanup Day sites. Contact Jamie LaDuke at 303.739.7248 or volunteer@auroragov.org if you are interested. For questions about Aurora Cleanup Day, go to AuroraGov.org/KeepAuroraClean or contact Neighborhood Services at 303.739.7287. Thank you for your efforts to Keep Aurora Clean! For staff who can’t attend the employee-only workshop, please join us at one of the following workshops scheduled for the general public (see attachment). We also encourage you to share these workshops with friends and neighbors who might have an interest in attending. North: April 26, 5:30 to 8 p.m., The Hangar at Stanley, 2501 Dallas St.
Central: April 26, 5:30 to 8 p.m., Overland High School, 12400 E. Jewell Ave.
East: May 2, 5:30 to 8 p.m., Vista PEAK Preparatory School, 24500 E. Sixth Ave. The public workshops will begin with a light meal, followed by the visioning workshop. To ensure there is enough food, please RSVP at 303.739.7271 or auroraplaces@auroragov.org. Children are welcome, and activities will be provided.